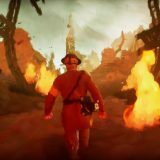 As we pass the centenary of the armistice which ended World War I, Bandai Namco Entertainment has released a long-awaited project from DigixArt Studios and Aardman Animations, famous creators of Wallace & Gromit. 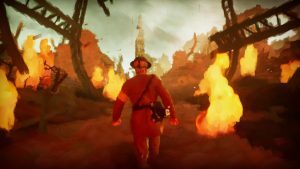 11-11: Memories Retold is less a straight-up game set during the war, and more an interactive narrative in the vein of Dear Esther or Telltale’s games. 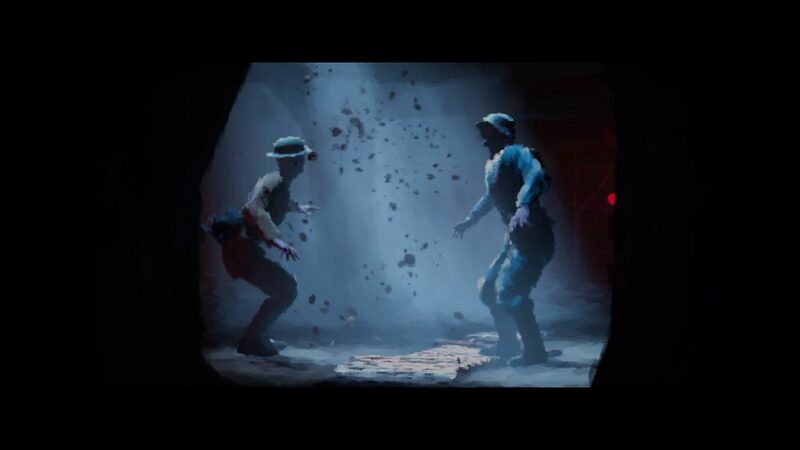 Presenting the conflict from both sides and commemorating both, 11-11 comes from Yoan Fanise, the same man behind Valiant Hearts: The Great War, a UbiArt Framework game from 2014. 11-11 presents World War I from the perspective of two soldiers, although neither have much of an interest in the war itself. Harry is a Canadian photographer who becomes enamoured with the heroic Major Barrett, and jumps at the opportunity to enlist as a war photographer under his command to impress his long-time crush, Julie. Meanwhile, German engineer Kurt receives news that his son, Max, has gone missing on the front line, and enlists as a radio technician in the hope that he can find him. Through chance, the lives of both men end up intertwined, and despite being enemies with no way to understand each other, a friendship forms that has serious repercussions as the war draws to a close on 11 November, 1918. There is no combat in the game, and you don’t even have to fire a gun depending on the choices you make. 11-11 plays more like a pared-down adventure game, as you watch cutscenes unfold and are given limited opportunities to explore environments to talk with soldiers, bring items to people or just chill out and play a pretty simple version of ‘Snap!’ with others. Harry has a camera he can use to snap photos, which he can enclose in letters to Julie and receive appropriate responses, while Kurt can learn more about his friends to gain new options for letters to his daughter, who is apparently affected by his decisions (which I wasn’t able to notice on my playthrough). 11-11, despite its subject matter, does not feel so much somber and depressing, as it does optimistic and even a bit whimsical. While the game doesn’t shy away from showing the actual war, with setpieces set in the Battle of Vimy Ridge and Battle of the Somme, it’s handled more gently and bloodlessly than you might expect. There are elements of fantasy in the story that are no doubt from Aardman’s influence – each protagonist has their own animal companion, a pigeon and a cat, who get up to their own adventures, and a key plot element involves a hot air balloon racing to a rescue across countries in a thunderstorm, which feels a bit Phileas Fogg. The core of the story should be the friendship between Harry and Kurt, two men who should be at war but couldn’t care less about it, however it never quite develops beyond a mutual agreement to be kind to one another. Despite weeks spent together, the two fail to learn each other’s languages or find meaningful ways to communicate, and much of their dynamic is built on misunderstandings which are never clarified. While I liked the two as individual characters, their relationship forms the linchpin of the game’s darker final third and climax, and by that point I wish I’d felt more invested in that connection. While it is more an interactive story than a full-on adventure game, there are some light puzzle elements which involve switching between Harry and Kurt to set up distractions or operate machinery. Kurt has a few radios to repair, which are simple knob-fiddling situations, while Harry has photos he’s required to take for the war, although his camera is extremely simple, with two zoom options and that’s your lot. What should be an interesting feature are the collectibles, which are real photographs and artefacts from World War I with explanatory paragraphs, but they’re made a chore to find. Each individual item is split into multiple parts, which must all be found, and the parts themselves tend to be hidden in random corners of areas that require a pretty extensive search. Finding these collectibles basically requires you to destroy the narrative’s pacing, which makes them sadly not worth the trouble. 11-11‘s presentation is heavily influenced by Impressionist art, with a rendering engine that plants large brushstrokes over every texture and every edge. When it’s working at its best, 11-11 looks like a painting in motion, and gives it a truly unique style that sets it apart just about everything else. When it doesn’t work so well, it makes the game appear too blurry and lacking in detail, as characters outside of the main pair and Major Barrett appear to lack significant facial features, or worse you find yourself unable to see collectibles since they blend in too much. However, the score by Alone in the Dark and Get Even’s musical maestro Olivier Deriviere, is uniformly excellent. As a way to commemorate the end of World War I, 11-11: Memories Retold is both beautiful and respectful. Where it succeeds is digging into the humanity of both sides, where men were could not only be heroes or monsters, but fathers, husbands and sons. It occasionally fails in conveying a meaningful gameplay experience, and while the climax is dramatic, and the game boasts multiple endings, it still feels like it could have had more impact. 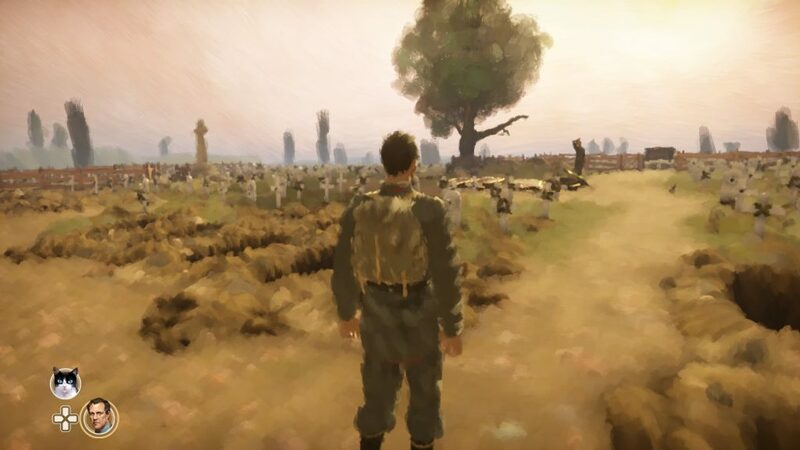 Nevertheless, you’d be hard pressed to see anything quite like 11-11 out there, and it’s nice to see a war-time story in games where peace is not only valued as the goal, but is presented as inherent in the nature of good men surviving in the darkest times.